To take on the challenge of starting a wine business, you need to be determined, fearless, and passionate about your craft—although owning a vineyard seems romantic, the wine business is a tough one. Just take a look at the success story behind Russell Bevan of Bevan Cellars. Bevan bought his first 10 acres in Napa Valley’s Sonoma County in 2004, but it wasn’t until 2013 that he got his first 100-point Robert Parker score for his 2011 Cabernet Sauvignon. Shortly thereafter, his mailing list jumped from 500 subscribers to 3,000 in two days—and he saw a positive turnaround in the business’s bank account for the first time since he started his wine business. Between 2004 and 2013, the vintner lifestyle didn’t always taste so good. There was a time when Bevan’s family stopped returning his phone calls, because they knew there was a chance he was calling to borrow more money. “I cashed in my 401(k) and I had a quarter of a million dollars in credit card debt at one point,” he says. But Bevan has no regrets; in fact, he says, he only wishes he’d left his corporate job sooner for the wine-making business. Bevan’s dreams are the same that continue to draw would-be vintners to the trade, especially as sales of wine are going strong—just last year, total U.S. sales revenue reached $62.7 billion. Those undeterred by the challenges of owning a vineyard need more than determination alone to get their ventures up and running—they’ll need some numbers, too. Here are a few costs (both tangible and intangible) to consider about running a winery. Before you consider the monetary investment necessary to start a winery (and run it! ), you need to be certain that you can invest your time. A best-case scenario, set forth by Jerry White of Cornell University, is that it takes five years to plan and develop your vineyard until you’ll see mature yields. Then it takes another year to produce the first vintage, and two or three more years to get your marketing plan in gear. All told, White says, you’ll be in the red for at least the first four years after starting your winery, and it can take over a decade to start seeing a profit. The winemaking industry is heavily regulated, so licensing and permits can get complicated—so complicated, in fact, that there are wine-compliance companies that do nothing else but help winemakers navigate local and federal wine regulations. When considering how to start a vineyard, you’ll need to first apply for and acquire a permit to legally operate your winery, but the regulations don’t stop there. you’ll also need to register your business with the FDA, comply with local and state laws, and even your wine label needs to be approved by the Alcohol and Tobacco Tax and Trade Bureau (TTB). And if you’re selling across state borders, it gets even stickier, as some states have their own laws about direct shipment. Once you’ve crossed the licensing and permit logistics off your list, you’ll need to stay on top of your state’s excise and sales taxes on wine, too. Being “all in” often comes with a hefty price tag. William Foley, the founder of Foley Wine Group, says it didn’t take long before he ended up spending $15 million after purchasing 460-acres in California’s Santa Barbara County nearly 20 years ago. Since then, the vineyard prices have only gone up, especially in regions like Napa Valley where land is scarce. Vineyards in Northern California can cost $11,000 to $30,000 per acre, but in the next 30 years, the price tag is predicted to reach $1 million per acre. Of course, you don’t need to be in California to start a winery—in fact, there are wineries in all 50 states—and land prices are certainly lower beyond the Golden State. And if you have the space and the land quality for it, you can even start a (very small) winery in your own backyard, which cuts real estate costs entirely. In that case, installing your vineyard can cost between $35,000 and $45,000 per acre. After purchasing or developing your plot of land, you also have to think about the annual establishment costs needed to keep those vines alive, which adds around $15,000 to $20,000 per acre in the first three years. Again, keep in mind that you still don’t have any grapes yet at this point to make your wine. Next, vineyard owners have to invest in machinery and equipment, which doesn’t come cheap. Lastly, most vineyard owners want to build a production facility and tasting room, since 90% of revenue will come through your tasting room. In your first year alone, you’ll need to invest some serious capital into your wine business. In this industry in particular, investing in expensive fixed assets—think land, machinery, and equipment—is non-negotiable. Other costs to consider include payroll for your staff, shipping, marketing, and insurance. In all, White estimates that your first five years require a capital investment of over $1.5 million. Most aspiring vintners can’t cough up $1.5 million all on their own, so they’ll need to turn to some form of outside financing. 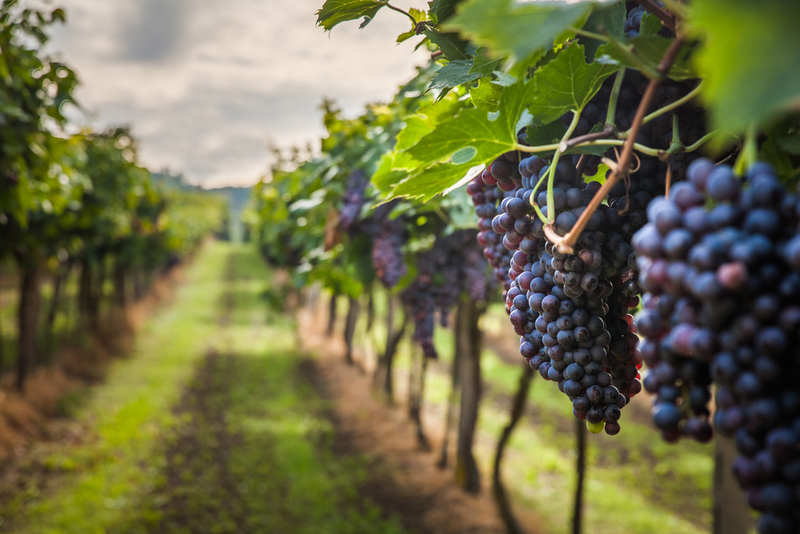 Like any startup, the newest vineyards may have trouble securing debt-based small business loans, so initial funding will likely come largely through a combination of equity financing, friends and family loans, and bootstrapping. That said, vineyards may still have a shot at approval for a traditional small business loan—they just have to know how to navigate the lending landscape. Also know that, regardless of which type of loan you apply for, for the best chances of approval you’ll need a high personal credit score, profitability, time in business, and a strong cash flow, so the best time to apply for a loan will most likely be after your busy season. Securing a bank loan might be tough for vineyards, since the wine business is inherently risky (as is any industry subject to the potentially destructive whims of nature). And if they do approve of a vintner’s loan application, banks might require a large down payment—potentially up to 50% of the loan amount—to protect their interests. If you’re determined to secure a loan from a bank, you might have the best luck at your community bank or credit union, rather than a large, national branch. Even still, be prepared to provide a hefty down payment, and pay a higher interest rate than usual. You can also expect an appraisal of your vineyard. And because of the industry risk, potential lenders will be militant about ensuring the borrower herself is financially secure enough to repay her loan, even if her wine business fails. So, alongside the business’s financials and projected income, lenders will closely evaluate the borrower’s personal salary and credit score. According to the Wall Street Journal, due to the increasing popularity of individually owned wineries, some banks have actually established loan programs geared specifically toward vineyards. Live Oak Bank, for instance, offers financing solutions for wineries and other alcohol manufacturers; funds from these loans can be used toward purchasing equipment, construction, expansion, working capital, and more. Exchange Bank also disburses vineyard, winery, and agricultural loans; their financing products include business lines of credit for purchasing inventory, equipment loans, real estate loans, and leasing. Your major upfront costs are equipment, so looking into an equipment loan is kind of a no-brainer for winemakers. If approved, your lender will front you up to 100% of the cost of your equipment, which you’ll repay, plus interest, over time. Startups might have an easier time qualifying for equipment loans than other types of loans, too. Because the equipment itself acts as collateral, lenders care equally about the value of the equipment as they do your business’s financial track record. Like any other agricultural business, vineyards can expect to experience seasonal peaks and troughs. A business line of credit is ideal for buoying you through those dips, because you can tap into it whenever you need, and you only need to pay interest on the funds you use. And if like most vineyards you don’t grow all your own grapes, you can pull down from your line of credit to buy grape inventory to blend or add to what you do harvest. 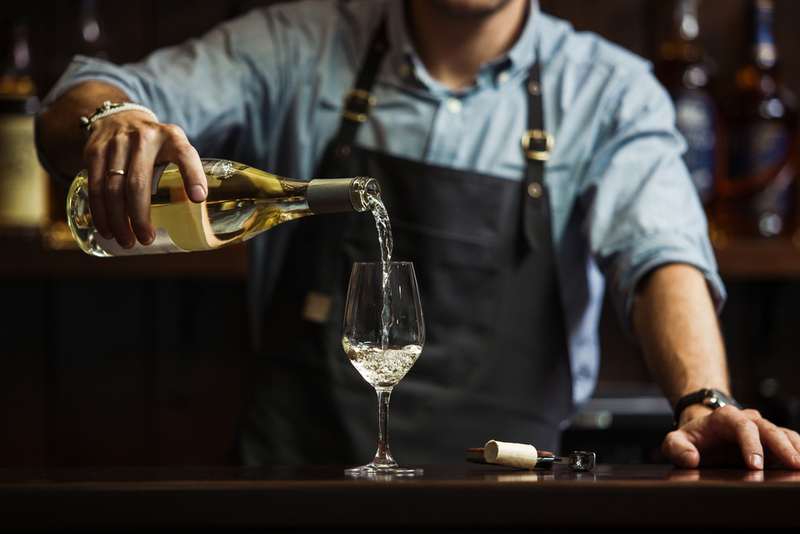 Like any other small business owner, winemakers pay for a ton of their smaller expenses on business credit cards, and tend to carry a large balance when they’re first starting out. To mitigate your initial interest charges, choose a credit card with a long 0% intro APR period, which lets you carry a balance interest-free for the duration of that introductory period. Look into the American Express Blue Business Plus, which has a 15-month-long interest-free introductory period—one of the longest on the market—and no annual fee. Just know that after your 15 interest-free months are up, a variable APR sets in at a rate depending on your creditworthiness. This rate will also vary with the market, so check the issuer’s terms and conditions for the latest APR information. If you’re not keen on investing so much capital into a full-blown winery, you can still assume a hands-on role in the wine business. Just consider an alternative business model, instead. One option is to become a “virtual winemaker,” like Cannonball Wine Company, which started in 2006 in Healdsburg, California. Rather than shelling out millions for a vineyard and processing facility, Cannonball cofounder Yoav Gilat decided to build a brand with much less. For many years, Gilat worked in hospitality before joining the Israeli army. He then moved to the U.K. for law school, and eventually moved to the Bay Area with his wife to earn his MBA from Berkeley. In California, he met his Cannonball cofounder Dennis Hill, who has been in the winemaking business for 35 years and was a top winemaker at Blackstone Winery. His other co-founder, Greg Ahn, is also a veteran winemaker in Sonoma County. Their goal, according to Gilat, “was to create a really great wine under $20,” while having some fun in the process. The three began Cannonball as a “virtual” company—they don’t own a winery, or a vineyard. They don’t even have a tasting room (although the company can set one up if you ask!). Rather, Cannonball has existing family growers harvest their grapes, and then Cannonball’s winemakers make the wine in rented equipment. Now, the company has four brands under its belt—Cannonball, Angels and Cowboys, High Dive, and Astrolabe—and Cannonball alone is sold in 47 U.S. and 30 international markets. Of course, even starting a virtual wine business requires financing; Gilat and his cofounders financed their venture with friends and family loans, as well as an SBA loan. But if you opt for an alternative business model, you likely won’t need to invest the millions that you would if you’d started your winery from scratch. Regardless of your wine business model, know that your business’s success ultimately depends upon catering to your customer—and keeping up with their changing tastes, spending habits, and the industry at large. In particular, industry predictions presented in Silicon Valley Bank’s “State of the Wine Industry 2018” report provides some valuable information for both newbie and expert vineyard owners. First off, wineries will need to adapt their marketing and sales strategies to appeal to a shifting demographic. According to the report, the majority of today’s wine consumers are cost-conscious, prioritize experience and value (which, in this instance, can be defined as quality divided by price) over luxury for luxury’s sake, and frequently shop online. Going forward, all vineyards—especially those that rely largely on tasting rooms to generate revenue—should seriously consider setting up an easily navigable online store and, when possible, pricing their wines in the $12-$25 range sweet spot, which is growing in demand. Aspiring vintners should be aware of increasing prices in arable land—another reason to consider going the alternative-business-model route. And all domestic winemakers should shore up against the encroaching competition from good-value foreign imports, which are hitting record highs. In continuation of a decade-long trend, small vineyards are finding it difficult to sell to restaurants. That may make the suggestion to set up an online store, and to improve the onsite tasting experience, even more urgent; this also provides an opportunity for vineyards to get creative in their marketing, and to hone their sales in on local restaurants. The wine business is niche, time-intensive, and requires some specialized skills. Whether you’re a wine expert or a passionate amateur, there’s really no way you’ll become a success on your own. To make his wine business a reality, Gilat drafted much more experienced cofounders to his team. To learn about planting, Bevan worked with a vineyard management company to come up with “a nice base roadmap.” He’s also worked with geologists and other experts through the years as his business expands. And beyond the logistical help, you’ll need to hire a crew to complete the extensive manual labor, including ripping and cutting the land, planting the vines, replanting them every year, and maintaining the crops all the while. Bottom line? Starting a wine business requires more money, sweat equity, and teamwork than you may have expected—and it’ll take time before you see a return on that investment. That said, if you’re serious about becoming a winemaker, your passion and determination likely outweigh those financial and logistical demands, as well as the as-yet-unforeseen challenges that’ll arise with shifting consumer behavior. If you’re truly interesting in starting a winery, all the sweat, cash, and (possibly) tears will pay off when you own a label with your name on it. The post How to Start a Wine Business appeared first on Fundera Ledger.